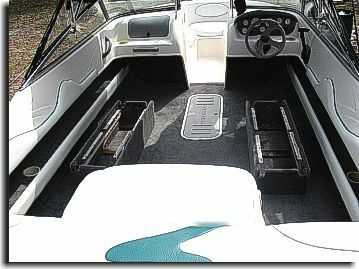 Catalina Custom Upholstery provides the consumer with marine carpeting that is specifically made with the specifications to meet the harsh conditions seen in the marine enviorment. 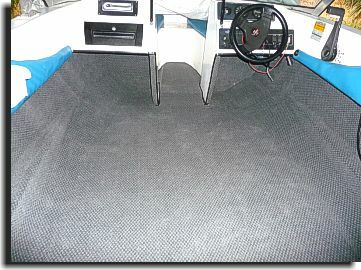 Marine carpeting is offered in 22 different colors, 2 different thicknesses in pile and a nice textured carpet (see photo's below for example of Smoke colored Mystic designed textured carpeting). 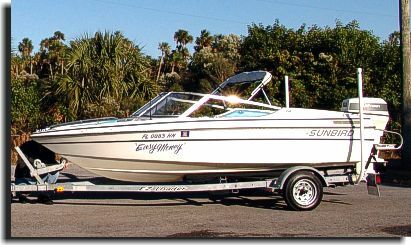 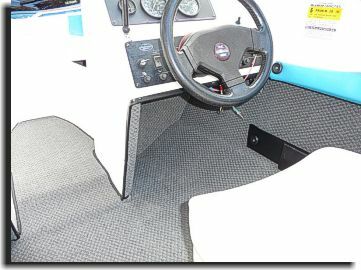 Carpeting also comes in 6', 8' and (for Pontoon boats) 12' wide choices in various colors. 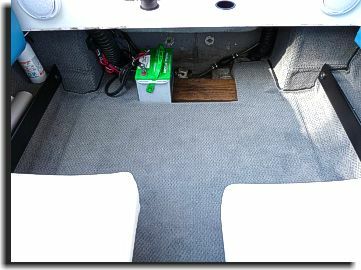 Carpeting is installed in two ways. 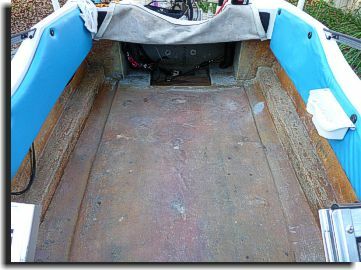 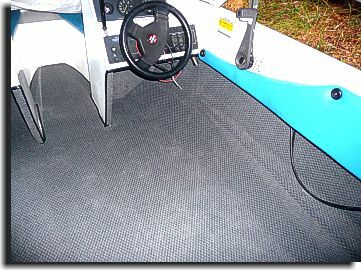 Carpet is either glued in (as seen in the examples below) or a special backing is available to apply to the regular marine carpet to make it able to become a snap- in application. 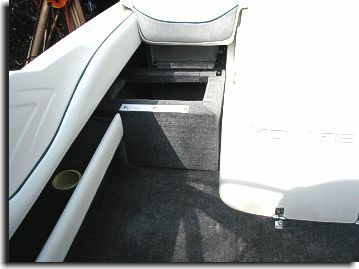 When needed, binding is installed either for snap- in applications or glued- in applications. 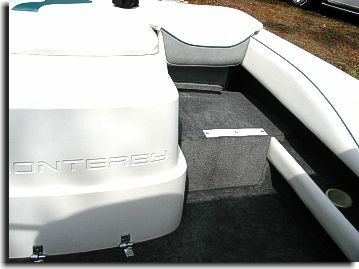 All binding used is able to stand up to harsh marine conditions. 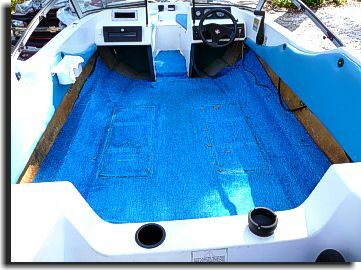 Catalina Custom worked with Mr. and Mrs. LaPlant of Brooksville, FL in installing a Smoke colored Mystic designed textured carpet in this nice 15' OMC Sunbird. 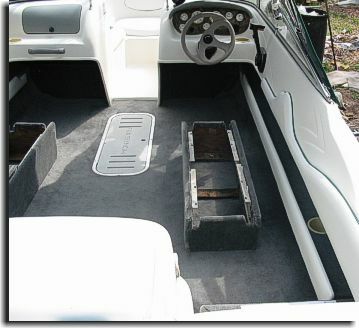 Mr. and Mrs. LaPlant like to work on their boat, so Catalina Custom worked with them with advice on what was required for them to save money and take out what interior was needed to be removed to be able to just install the carpet.